← Variety Show Auditions in Two Weeks! What an amazing year it has been! The Winnona Park PTA is proud to announce our achievements and contributions for 2015-2016. Your participation and generosity in our fundraising efforts enabled us to exceed our goals in many areas. 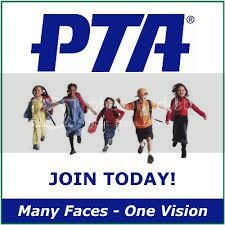 We are pleased to report that our 2015 fall membership drive resulted in a 20% increase in paid PTA memberships over the previous year–a record 342 members! Having over 40% of families as PTA members is a strong testament to the involvement and dedication of our school community. This year’s Jingle Jog was the best one yet, raising over $1,100, and the Read-A-Thon garnered more than $20,000. The Spring Auction proceeds totaled more than $20,000, even more than last year. I am proud to have had the opportunity to serve our school alongside the outstanding members of this year’s PTA board. It is so gratifying to see our kids continue to thrive under the care of our exceptionally dedicated teachers and I feel we are all so fortunate to be here together. Many thanks to all who have given their time and effort this year to continue to make WPES the special place it is. It’s hard to believe that another year of learning and growing has come to an end, but it’s time for all to take a well-deserved break so we can come back in August relaxed, refreshed and ready to take on a new year of challenges and adventures. Thank you all, again. Have a wonderful summer!